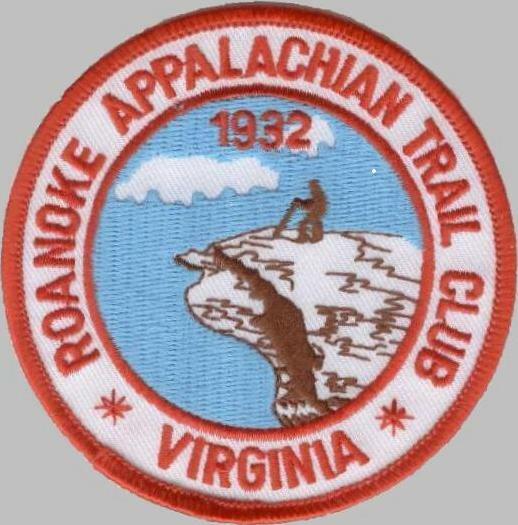 The Appalachian Trail is full of surprises, most of them good. Today was a great day for surprises along the Trail. One of the first nice surprises was the beautiful Sherman Brook, which I happily followed for about a mile up East Mountain just past the town of North Adams. Leaving town through someone's driveway (literally! ), I could hear the cascading stream almost immediately. This is one of my favorite woods sounds. I could hear it as I climbed up, up, up the 1,800-foot ascent, through thick green ferns and laurels set among the birch trees and other hardwoods. There was an inviting pool of water below a small waterfall partway up. I could imagine tired, hot thru-hikers sitting there to cool off on a hot afternoon. Since it was just mid-morning, I wasn't tempted. What amused me was the blue bath towel, neatly folded over a tree branch nearby. I wondered if a trail angel put it there. Another pleasant surprise was the beautiful marble and quartz on East Mountain. Several very attractive buildings in North Adams are made from the white rocks, and they just glisten in the sun like the uncut boulders do on the mountain top. There was a "bad weather" trail to avoid one of those boulder rivers near the top of East Mountain, but as always, I followed the white blazes. That's a bit of a trick when the rocks and the tree trunks are also white! But I found my way up and through the maze OK. It would have been more difficult going down, with my granny knees. I crossed into Vermont in the eleventh mile. That wasn't a surprise, but it was a happy moment. There was a "tree register" at that location, one of several I signed today. 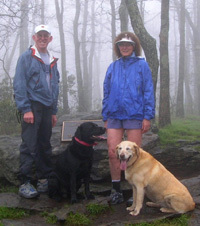 This is also the southern terminus of the Long Trail, which the AT follows for about 97 of its 263 miles. 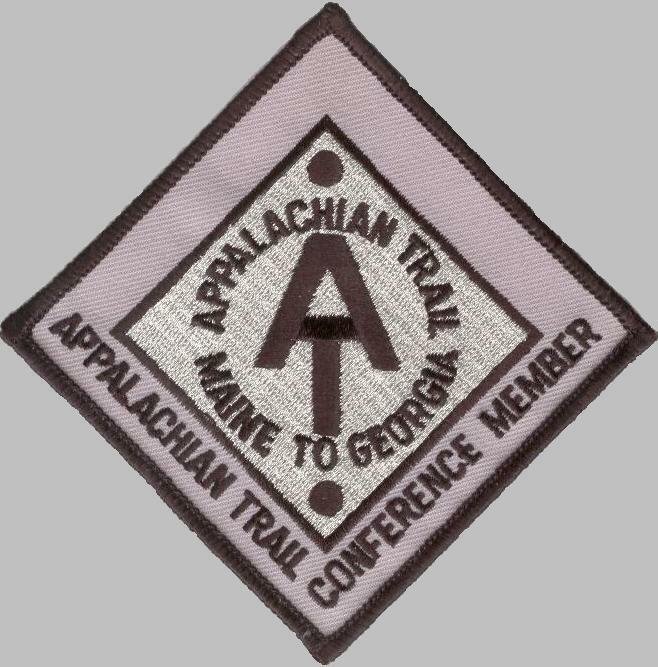 The AT will take a hard right at Sherburne Pass and the Long Trail will continue on to the Canadian border. Eleven states down, three to go!!! The pond was calming. I can add this image to my repertoire of mental pictures when I need to calm myself on a busy day. As I sat looking at the reflection of the trees and clouds in the water, and listening to frog music, I thought, "This is perfect moose habitat." Now that I'm in Vermont I'm more likely to start seeing moose along the Trail. I had my moose antennae out after that. As I left the pond I met "Foot Walker," the only AT thru-hiker I talked to today. He's going south. We exchanged information about the Trail and went our separate directions. I also saw several day hikers and LT hikers. One of the not-so-nice surprises was the nasty section of trail from these ponds to the Congdon shelter. As neat and tidy as Vermont homes and farms are, I thought the LT and AT would be pretty civilized. 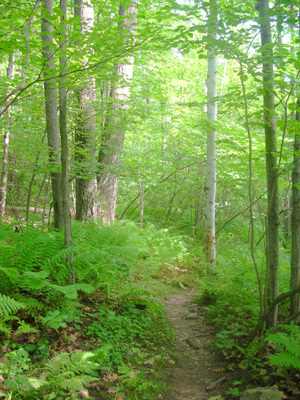 Instead, the Trail seems even wilder here than previous sections south of Vermont. There were some badly overgrown areas, a large number of blow-downs, and a large pile of brush over the puncheon at one swamp, making it difficult to walk over - let alone run. I had the best surprise after the Congdon shelter, near a bog area. My first AT moose sighting!! He saw or heard me first and took off ahead of me on the Trail. Suddenly, he came back toward me. Uh, oh! Then he crashed into the woods, stood and looked at me a minute, and went on more slowly. I wasn't able to get a picture of him. It all happened too fast. I soon found out why he turned around: there was a 40-ish couple coming down the Trail toward me that scared him back my way. They didn't see him but heard the loud noise and assumed it was a moose. The woman seemed disgusted, saying, "He stinks. Can you smell that?" Um, no. I couldn't. I was only thinking of what a majestic animal I'd just seen. Some folks need to stay in the city. I've seen several moose even closer than this in the Beartooth Mountains when Jim and I did training runs there, so today's event wasn't quite as exciting as seeing my first black bears on the Trail in the Smokies. But it ranks right up there. Moose are special and I hope to see many more before I complete my journey. I called Jim to tell him about the moose. 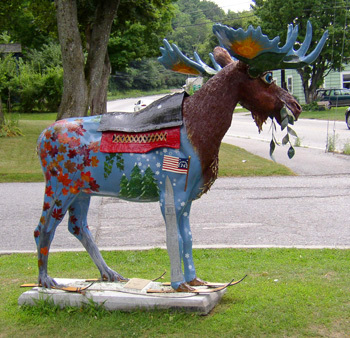 It was funny, because he'd already told me about seeing painted, artistic moose in Bennington when he moved the camper today. Billings, MT had a similar fund-raising event when we lived there, called "Horse of Course." Artists covered life-sized fiberglass horses with various media; they were displayed all over town and auctioned off for a good cause. I believe the Bennington event with moose is similar. My last nice surprises today were courtesy of Jim. The first was seeing Jim, Cody, and Tater coming up the steep trail toward me above VT9 after a long day. It's always great to see my crew! This was one of two very steep descents I had today and it was difficult to go down the large "steps." Tater had a hard time, too. She's also an arthritic old lady! Then when we got down to the truck, I saw that the camper was attached! Jim had told me I'd love today's camp site. I thought he was going to a nearby private campground but on the way to it he found an even better place - we're boon-docking free on national forest service land, well off the road in a large, quiet spot all to ourselves. It's the best campsite we've had yet! For a section that had more elevation loss than gain, it was tough and not very runnable. That was one of the not-so-nice surprises today. Most of it was interesting enough to make for a great hike, though. There were two long, steep, difficult descents today. The first was coming down from the Greylock massif into North Adams. 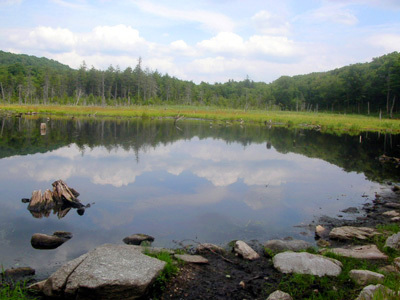 The massif includes Saddle Ball, Greylock, Fitch, and Williams Mountains. The drop from Williams to the town of North Adams is about 2,300 feet. All of it is rocky, rooty, and slick with loose rock. The second long drop was about 1,000 feet from the top of Harmon Hill down to VT9, where I stopped today. This one has hundreds of rock "steps," which were partially wet in the late afternoon when I was negotiating them. It started raining about 90 minutes before I finished but the rain was so light that I only felt it when the leaf cover was sparse. There was another register at the summit of Harmon Hill. The person right before me wrote, "Great view of Bennington!" Alas, all I could see was fog. Off to bed at our "secret" location . 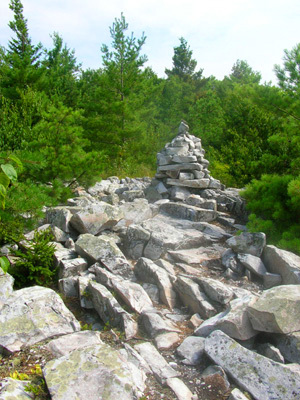 . . tomorrow I have lots of climbing to the top of Glastenbury Mountain. I am so happy to be back in the mountains again!